When you log in, to delete all of this text, please go to Pages and then delete the home page main text. 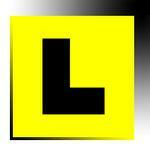 A website for your job as a Driving Instructor could add a new dimension to your business. You could get yourself a new domain name (web address) and print it on the side of your car. Just think of the number of customers you pass in the street every day!